Still bruised and heartbroken from their last calamitous quest, Gorm Ingerson and his band of washed-up heroes try to make amends for the orcs they accidentally betrayed. But justice is put on hold when an old foe marches to the city gates. Gorm is horrified to discover a liche pitching the frightened city-dwellers on the merits of the undead lifestyle...at the head of a corpse army. I absolutely loved the first book in the series (Orconomics) and this one was honestly better. The characters were deeper in a realistic way as their troubles force them to change, the bonds between the characters were really interesting, and I particularly liked the way the child abuse and Jynn's history with Detarr were handled. Of course, the best part is the more subtle but necessary critique of unchecked capitalism; as I listened to the economic fallout in the book I had somewhat disturbing flashbacks to the 2008 crisis (all intended I'm sure) and a lot of the personal backlash felt by the characters thanks to that seemed to be modeled on both 2008 and the somewhat fabled "Black Thursday" of 1929. I was particularly impressed with the way some of the very subtle foreshadowing from the first book, particularly Heraldin's comments about Benny Hookhand, played out perfectly in this novel. When I got to the end of the book my honest reaction was a "You sonuva---!" because the book just came out (is coming out? 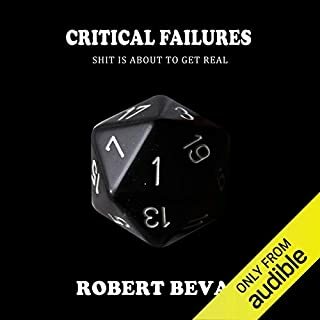 Amazon lists it as a pre-order but I was able to get the Audible edition just fine?) and now I have to wait who-knows-how long for the next one. While the story and characters are great, I don't think I would've connected as much as I did with the series without the work Doug Tisdale Jr. did to bring everyone to life. This is a narrator I definitely plan on listening to more of! All right, I'm going to ask you a simple question. Have you read Orconomics yet? If not, buy this, then buy that, then read that, then read this. Got it? Simple readernomics. You can't start this without reading that, because you will miss out on sooooo much. And believe me, you do not want to miss out on one word that Pike has penned. He's pretty good. That's not true. He is amazing, and his sense of humor is like something distilled from Milburn Drysdale's sensibilities mixed together with I love Lucy funny business. It is witty, compelling, and gut busting. As in it will make you laugh out loud if you aren't careful, so don't listen to it at work. I adore the cover. It pulls you right in, and catches your interests. It captures your imagination, and still manages to be a piece of art. It sells the story in just a single image, which is hard to do. I don't know if I'd hang it on my wall, but I certainly admire it. Doug Tisdale Jr. returns for the sequel and picks up right where he left off. His has impeccable comedic timing, and plays every character as if they were someone he knew in real life. He picks up the pace when he needs to and slows down when we need a breather. I think this is an innate ability of his, because at his level of ability I find it hard to believe that it was learned. He is a pleasure to listen to, and you will cherish your time listening to him. The book picks up in just the right spot, and takes our heroes forward into their journey, and oddly seems to wrap everything up, but this is part two of a trilogy so something more is going to happen. All I can say to that is Yay! The book, for those of you who grew up in that era, is chock full of D&D references and gags. There is a lot of character growth, and in spite of all the humor there are some thought provoking moments in the book. It really is impressive how deep Pike manages to take this story under the guise of satire. Even though I did receive a promo code for this review it in no way influenced my considerations of the material, and honestly, inspired me to be more honest. In fact, getting a code generally makes me harsher as a reviewer as I am more often concerned what someone like Me will decide based on my review. 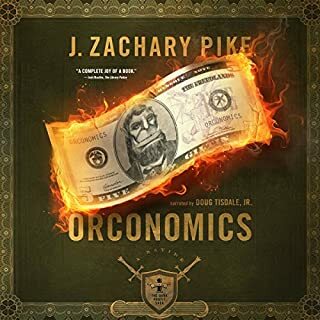 A worthy successor to Orconomics, Son of a Liche successfully continues the character development of the last book's heroes and villians while introducing us to interesting new ones. If you've read and enjoyed Pike's first novel in this series, then stop reading the comments for affirmation over your next great purchase and dive right in! Who knew you could make a satire of the financial world funny and engaging? I enjoyed the story -- a standard fantasy plot but well-told, the characters -- all flawed in entertaining ways, and the subtext -- a ruthless depiction of the financial world. The narration is terrific, as well. When it was over, I was disappointed only because I wished there were more. Didn’t want the book to end! This is so amazingly fun! I’m sad that I’m done with book 2. I don’t even want to start listening to another book because I’ll miss this one. There are a lot of things that set this series apart from other fantasy books. One is that the people that are typically the heroes usually aren’t, and the monsters are mostly the ones we root for. Also, this book is incredibly humorous and full of satire. The author has to be incredibly clever to think of such fun witticisms. I had to pay close attention because so many of the “funnies” are hidden. I bet I missed a lot. Also, throwing economics into the series certainly is different than other fantasies. I’m not keen on following economics but this was fine in this book. The narrative follows different people’s journeys. So within a chapter we switch between the characters. What always made me laugh is how when one viewpoint would end, the start of another’s viewpoint would have word play on the last narrative. 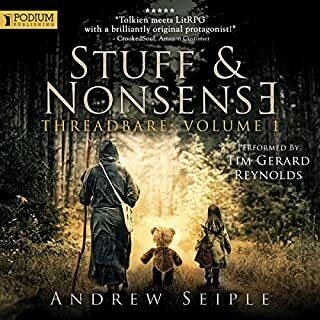 I do think this book is many times better being listened to than read because the narrator does a phenomenal job with voices. He really gets into the tone of what each different monster/shadowkind sounds like. 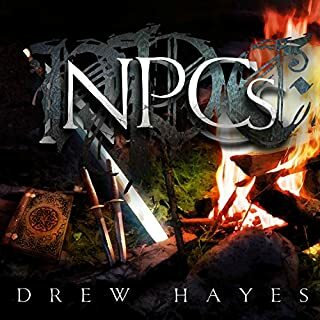 The author manages to bring to life his own twist on the classic fantasy world through well developed characters, a rich and thought out history of Arth and its inhabitants. Anyone who has ever played a fantasy role playing game (like D&D, or Pathfinder) well appreciate the gaming humor and the thought the author has put in to how a world like that would actually function. I also enjoy the financial aspect although i did not expect to. This is a great follow up to the first book. I eagarly look forward to the next book. now if only someone would develope a tabletop rpg system set in this world. Witty, poignant, smart and fun. JZP has created some fantastic characters and a brilliant plot. This is such a wonderful story, even better when appreciated alongside its predecessor Orconomics. 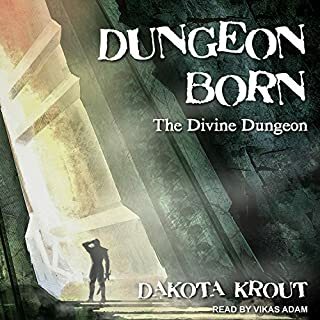 I wish every audio book could be this good. Like Orconomics, Son of a Liche continues with a compelling story complete with humor and subtle economic commentary. I'm a huge fan of light-hearted fantasy books, but so many of them find their humor by lampooning the genre's stereotypical characters and plots. 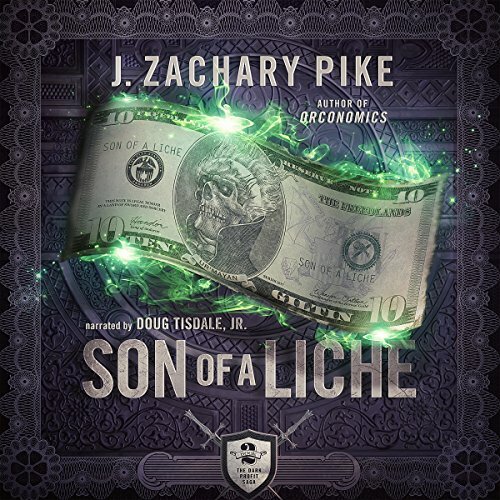 Orconomics and Son of a Liche are unique gems: Pike has found a way to make the genre humorous while giving the characters depth and while creating a plot that is unique. As the many tropes of fantasy and RPG literature surround the characters and create a mechanism for humor, the characters themselves evolve and grapple with issues that create a compelling story. Doug Tisdale's narration is absolutely spot-on and highly entertaining. His multitude of voices and accents for the various characters are masterful and add substantially to the story. As good as, if not better than, the first book. I had requested and received this book for free from the author, in exchange for an unbiased review. Humor books that genuinely manage to make me laugh are a rarity and "Orconomics: A Satire" had managed to do that when I had read that few weeks ago. So, when I had learnt that a second book was released in the series, I couldn't wait to get started with that. And I'm happy to report that this doesn't disappoint, like most sequels usually do. First book had set high expectations and this second book fulfills those and then some. The characters are the life of this series. They extremely well written and stay with you even after you're done with the book. They are witty, smart, relatable, funny and interesting. The plot itself is choke full of humor and wit. The story pacing is comfortable and not rushed at all. Everything got ample time to stew and develop. I was thoroughly hooked for the entire duration. An out-n-out entertainer. Doug Tisdale Jr.'s narration is perfect. Every single character is brought to life. It's amazing to hear someone make so many different voices. orconomics was great but this book took it to a new level! fast paced hilarity from start to finish and characters you can really love. can't wait for the next one! A very funny and astute book. Well worth a read. While I enjoyed the first book, it had a very 'first book feel' to it. This has the same humour, but just with a bit slicker editing. Is a trilogy and the third book isn't out yet. Proceed with caution. Ps. Mr Pike, please write faster. Sticking the boot into our own bizarre world of finance and the mythical bad guys alike. Love that the shadowkin (orcs and the like) are real characters and not all mindlessly evil. This is a book I can't help but wish I'd written. Everyone dreams of writing a book and they want it to be smart and original. You will find it difficult to find someone who has done better than Mr Pike. made me want to know more start to finish. if you like Terry pratchett you will enjoy this humor.